Comments: One more cd bootleg from this show at Budokan Hall on May 1st. 1975. 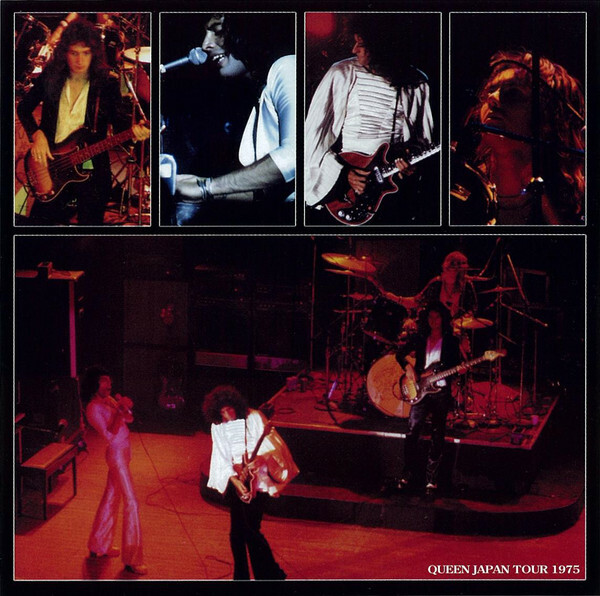 Queen's first Japan tour. This was the final date of this 8 gig tour in Japan. Other Japanese labels has released this concert on cd's. All for the most in excellent sound. All audience recorded. Wardour label claimed this 2cd has used the master tape in the production. Probably true. 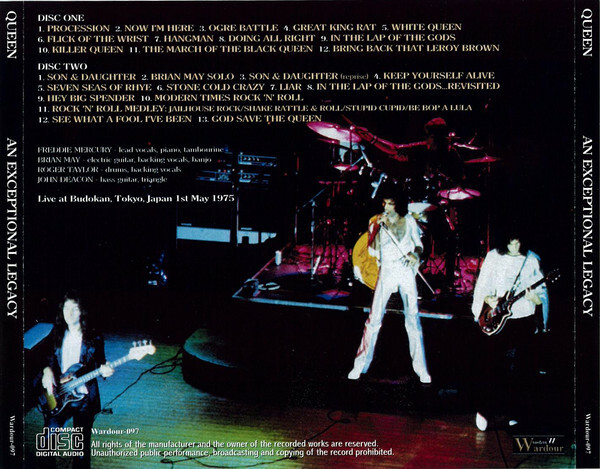 The closing night of Queen’s first Japan tour remains one of the most well documented and well known early show. The May 1st, 1975 Budokan show first surfaced on vinyl in 1975 on Kimono My Place Live (Marc TC-75122) released in 1976 and copied on Stunning Live In Tokyo on Rodan Records. 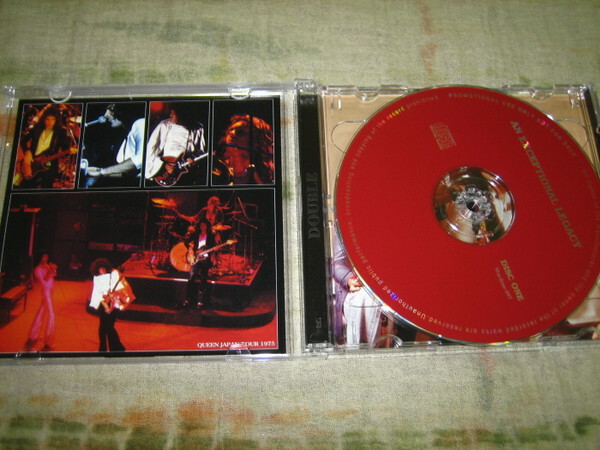 A second audience recording was used for First Live Attack (Private Masters PM-007/008), for a long time the best complete version available. Wardour released Killing Me Softly (Wardour-004) in 2004 featuring a better sounding but incomplete recording (“Now I’m Here” and “Ogre Battle” are incomplete and the source from First Live Attack was used to complete the songs). Three years later Tarantura came out with Young Nobles Of Rock (Tarantura TCDQ-1-1, 2) from a previously uncirculated “Song Brothers” tape source. 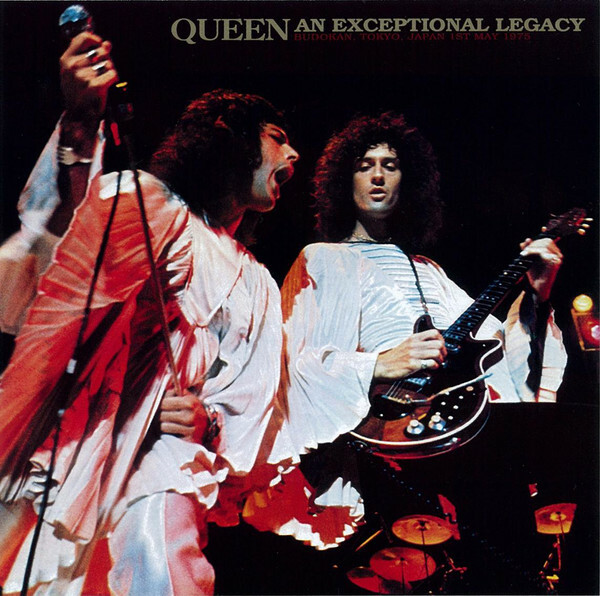 This recording is very close to the stage and was able to capture the dynamics of the performance in detail making this one of the very best audience recordings for the early Queen. An Exceptional Legacy highlights yet another brand new audience recording of the event. It is clear but distant and flat, lacking in some detail and liveliness. It is sharper than the tape used on Killing Me Softly but not nearly as good quality as the Tarantura. There is also evidence of remastering by the label to help improve the fidelity. Freddie sounds a tad self-conscious afterwards as he speaks to the audience in Japanese. “It looks like we’re gonna have some fun tonight.” After the live staple “Ogre Battle,” the band play “Great King Rat,” a real rarity. Except for the BBC sessions, there are only a handful of early live references to this song including the April 21st, 1974 New Orleans and the May 4th 1974 Waterbury, Connecticut tapes. It would be resurrected ten years for the Works tour, but it is great to have such a great sounding recording. “We’re gonna do a number we haven’t done in a long long while. 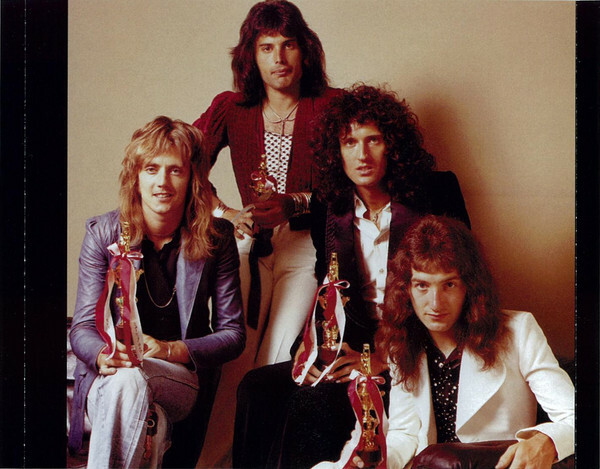 But as this is our last show on the world tour, it’s very nice to end it in Tokyo, and we’ll do it especially for you” is Freddie’s introduction to the still unreleased song “Hangman.” A studio recording has been rumored to exist, but have been constantly denied by the band and such a recording has never surfaced. After “Doing All Right” the band play a medley of the songs mostly from the last two albums. The “early medley” first appeared about this time and is a feature of the set they would retain until their final tour. Three songs from Sheer Heart Attack are included beginning with “In The Lap Of The Gods.” There are few live recordings of this song since it was dropped after this show, never to return again. The studio recording relies upon the treated, slowed down vocals which are absent from the stage version. “In The Lap Of The Gods…Revisited” is the last song of the set. With its apocalyptic chorus and communal spirit, it remains one of their most effective closers which would be dropped in the future only to reappear on their last tour as part of the early medley. This is followed by two minutes of audience applause as they wait for the encores. The mc speaks in Japanese over the PA system, telling the crowd to put out the candles. The first encore begins with “Big Spender” and includes Taylor’s Black Sabbath inspired “Modern Times Rock And Roll” in an undifferentiated medley with the oldies. None of the tunes lasts for more than a minute and a half and are played with the same furious tempo, but it’s great fun to hear Freddie work the crowd as the show reaches the two-hour mark. The final song of this long show is a live performance of “See What A Fool I’ve Been,” one of Queen’s rare blues songs. 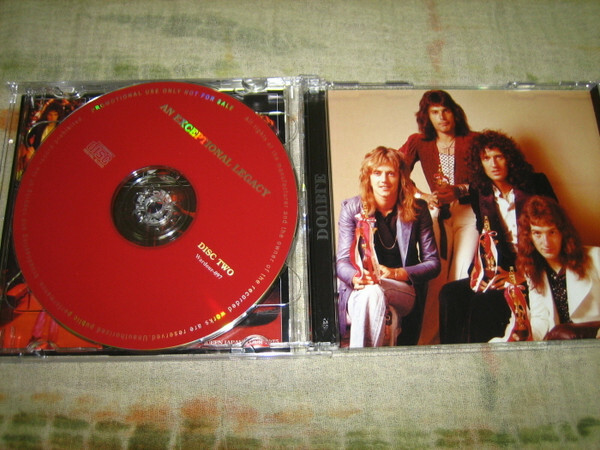 An Exceptional Legacy is packaged in a standard double slimline jewel case with rare photos from the tour on the artwork. Wardour also include a miniature reproduction of the tour poster. Since the Tarantura is sold out and hard to find, this is another good way to obtain an essential show from Queen’s early period.